We’ve heard rumors about Apple wanting to join the race of movie streaming and use the influence of it’s Billion dollars of wealth to enter and force it’s way up in the industry which is already known with other big brands like Google‘s Youtube or Netflix and even the not so successful Amazon Prime and many others including CBS. However, we’ll be expecting to hear more about the it officially by Monday during the Apple’s event hosted at the Steve Jobs Theatre on it’s campus in Cupertino, California where it would be unveiling it’s video service to the general public at exactly 10AM PT / 1PM ET. This is going to be the first time Apple is actually holding an event mainly for it’s service offerings instead of a product launching like it’s iPhone smartphones. While we’ve been hearing news of it’s hardware products such as the iMac, AirPods and the new Mini iPad been fed down to our throat limitlessly through the media outlets and PR firms, the new focus seems to be the Apple movie streaming service. While Apple made history last year to become the first Trillion-Dollar company on earth, it soon lose the spot and slide down just three months later while it was overtaken by Huawei and Samsung in the mobile phone business. For the fact, Apple’s elephant share is from the iPhone which had been dwindling in sales overtime but the company had seen a much more spike in it’s services such as the Apple Music because the mobile market is becoming more fierce as ever with Chinese like Huawei, Oppo and Xiaomi all making incredible smartphone for even cheaper prices. While Operation needs to grow beyond just selling the iPhones and iMac computers which had even more doubts especially the previously released Macbook Pro last year which had too many flaws. Apple Music alone had garnered a bigger momentum since it’s even been opened to other platforms such as Android and it will be coming on to the Amazon Echo. Apple saw an increase in it’s revenue when it jumped 19% making a new record of $10.9 Billion. The music streaming service now has more than 50 Million paid subscribers throughout the world making it’s overall service subscriber to up onto 360 Million all the way from 120 Million from the previous year. So Apple’s new move would be to get itself into the movie streaming business considering the fact that the company had seen a big spike in the services and subscriptions rather than it’s one off sales of smartphones and gadgets. In an analysis done by Bob O’Donnell of Technalysis Research “They’ve been saying on the last almost four years worth of [earnings] calls how much services is going to be important to them,” He said . And the Monday event would prove the point of how far Apple is looking forward to go in the streaming service. “They’ve been building up to this.” Added O’Donnell. While Apple’s got all the power and the chunk of subscribers all around the globe, that doesn’t mean it’s just going to make it especially in the movie industry. While the company would have had it’s high class researchers and engineers working tirelessly to make sure things work out to success, one should reference the failure of Amazon Prime which hasn’t gotten off ground yet despite being owned by the Mr. Money Bag, Jeff Bezos‘ Amazon. Let’s first talk about how far Apple had gone in the entertainment industry. For example, it started the Apple TV back in 2007 which was the same year it launched the iPhone. with the Apple TV being just a hobby that was transformed into business. With the upgrade of the Apple TV back in 2015 with the TVOS operating within the device, the device had been working seamlessly with Siri, it’s AI which had turned the company into a more prominent business. The update came at a time consumers were starting to ditch their traditional cable subscriptions in favor of smaller streaming bundles. On-demand TV services like Netflix, Amazon Prime and Hulu offered thousands of videos to stream on demand, while services like Sling TV, DirecTV Now and YouTube let people watch live TV over the internet. Increasingly, it was Apple TVs, Roku boxes and Chromecasts being used to view that content. While Apple to not only be interested in Making streaming devices, it’s move is to make the streams being streamed on it’s streaming devices which is really going to be a good move in as much as the money flows in. Apple seems to care a lot. But we can’t but reference the fact that Apple’s original shows for it’s music service failed terribly back in 2017 when it launched the Planet of the Apps and the Carpool Karaoke. While Apple had been trying to break through from one of the streaming industry or the other, it was rumored to be working on a virtual cable service that lets subscribers pick and choose which channel they’d prefer but really, that didn’t fail because it was never launched in the first place or least, we’re not expecting it to be among the products Apple will be launching on Monday. So competing heads-on with Netflix might be a really big thing although the company is said to be working on creating it’s own content and videos from partners with reports of deals been proposed to the likes of HBO, Showtime and even Starz to license the existing contents on it’s new moie streaming service. While Apple seams to be extremely serious about the project, it’s been said to be working tirelessly on about 30 Projects with five of them already ready to go live. So, Its initial $1 billion investment in content is expected to spike up to $4.2 billion by 2022, according to a 2017 estimate by longtime Apple analyst Gene Munster, who is now at Loup Ventures. Apple’s announced partners include a multiyear deal with Oprah, Reese Witherspoon, M. Night Shyamalan and Steven Spielberg. The company has hired two top executives from Sony Pictures Television to lead the effort. Based on a study according to a Deloitte study, An average American who’s already subscribed to an online movie service will likely subscribe to another having up to three different subscriptions. The plan for success had made Apple to even include it’s service on Non Apple products with a fee that will be extremely attractive. Even some analysts claimed that the Apple Movie streaming could be free for Apple device users but we think it could be based on rial periods unless Apple just want to use that to invite more people to buying it’s hardware devices ones again. Apple Music for example, they offers an extended free trial, and it’s standard for most streaming video services to give new users a free introductory period. 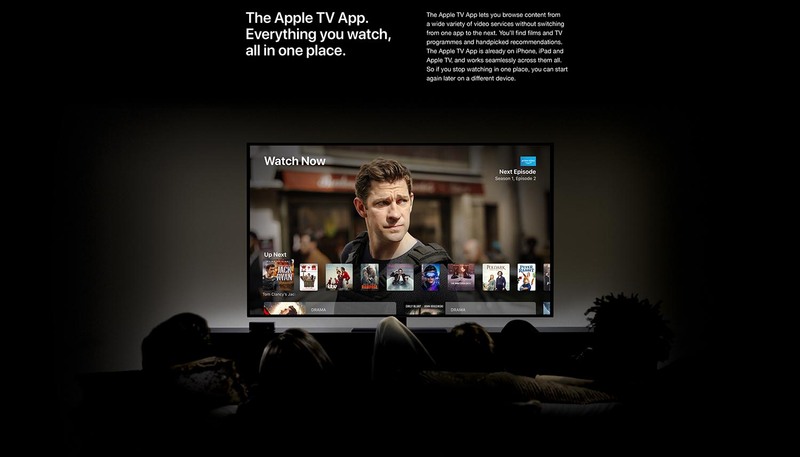 One way Apple could get more subscribers is by bundling its TV service with Apple Music or with an iCloud account. Currently, Apple Music costs $9.99 a month, while iCloud storage costs 99 cents a month for 50GB (an amount that’s lower than the current lowest capacity — 64GB — on Apple’s new iPhones), $2.99 for 200GB or $9.99 for 2TB. Also, there is a rumored news subscription service which could also go on by Monday. This is likely going to be paired up with the Apple Music streaming service and then the TV streaming. “Is this going to be the straw that broke the camel’s back that gets me to think about what I’m already paying for?” Creative Strategies analyst Carolina Milanesi said. “If you bundle it, the value becomes more fluid. While Amazon is known to bundle its music and video services into its Amazon Prime two-day shipping membership that costs $12.99 for a monthly subscription or $119 for the annual pass. Some people are paying the amount just for the shipping, but others want it for the video service, music or other benefits. 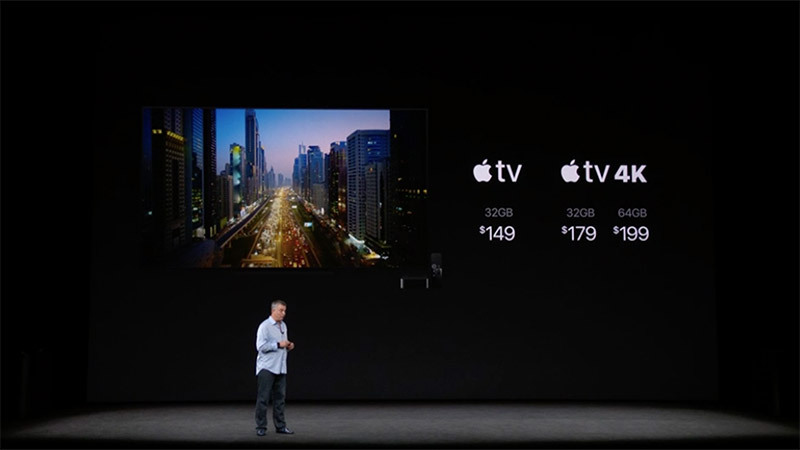 The success of Apple’s TV streaming service is very dependent on how easy the service is to it’s end users, how affordable it gets overtime and how great shows are exclusively being published on the TV alone. All these will determine how far the service would go and the success of this service will likely skyrocket Apple’s wealth again just like it did last year. A corporate woman, tech expert and a superwoman. She is a successful mom at home and a senior editor at Brumpost News. Her amazing articles range in topics such as the tech industry, startups, Enterprise and Sci-Tech. She's also a tech teacher with her evergreen How to guides. Apple's products are expensive in one way or the other and that's why people are discouraged from using their products. I don't kow why anyone would leave Netflix for Apple. Even Amazon failed in the process. Apple is big and reach. They can afford to try anything even if it fails, their finances can cover the expenses. We're talking billions here. Nice piece. I'll keep up with the time hopefully i don't forget when the event broadcasts live tomorrow right.